The role includes a broad range of responsibilities and would suit an individual with a flair for financial management and accounting detail, along with a strong commitment to compliance, efficiency and systems improvements. The role requires someone with proven experience in managing the complete range of financial management activities, including budgeting, funding, compliance, accounts and payroll reconciliation for a similar sized organisation. A candidate with experience working for a medium sized NGO or other social enterprise is preferred. The position is responsible to the CEO and works with senior management, auditors as well as suppliers, Board and Committee members. The position is also required to implement improvements to financial processes and reporting as part of the organisation’s commitment to continuous quality improvement. This role will ideally suit someone who likes to be hands-on on a day-to-day basis whilst at the same time taking responsibility for top level reporting. 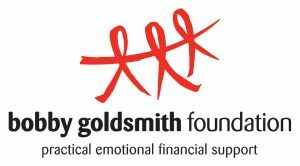 Bobby Goldsmith Foundation (BGF) is Australia’s longest-running HIV charity. Founded in 1984, BGF undertakes a range of supports and interventions that address key determinants of poor health outcomes for people living with HIV (PLHIV) – i.e. long-term social and economic poverty. Apply in writing, including in your application a covering letter, your CV and addressing the essential capability requirements that can be found in the position description (refer to attached pdf). Should you wish to discuss this role further, or have an issues seeking clarification, please feel free to contact Andrew Buchanan, Compliance, Research and Operations Manager on 02 9283 8666 or alternatively by email at jobs@bgf.org.au. Please quote in application: Finance Manager via Pro Bono Australia.